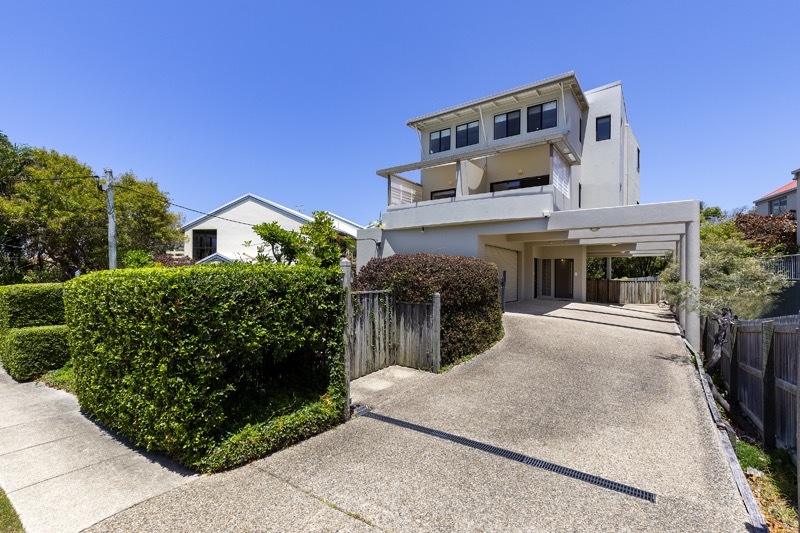 Martinique at 2/14 Park Crescent in Sunshine Beach is quite simply a home away from home. Here the comfort of its guests is of the utmost importance to its caring owners. 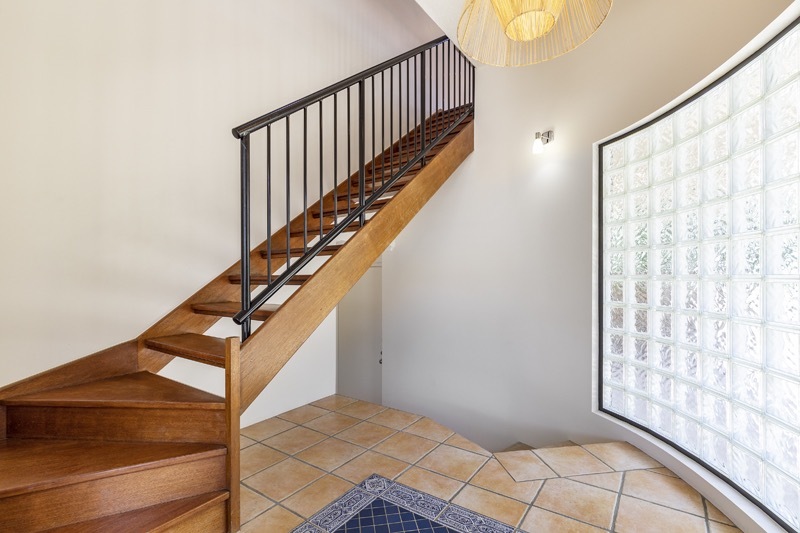 It is one of two villas in this quiet and well-maintained duplex. 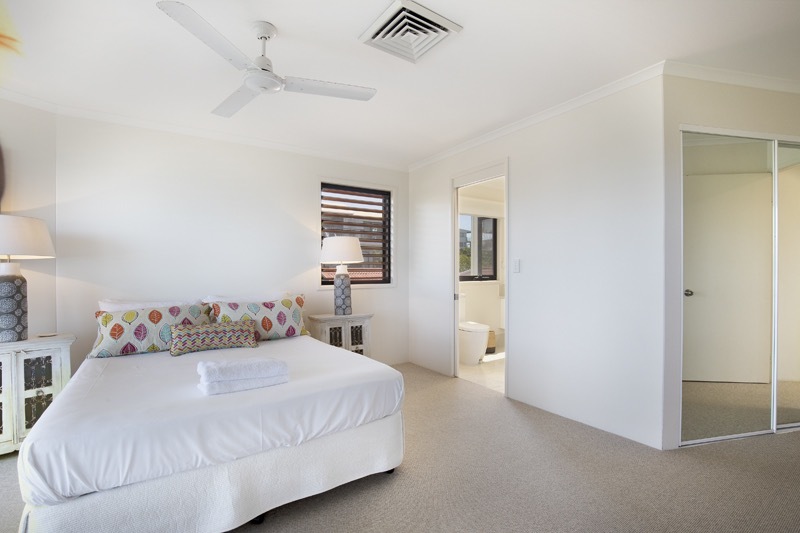 The property sleeps up to 6 guests across 2 main bedrooms and a media room with pull-out double sofa-bed. 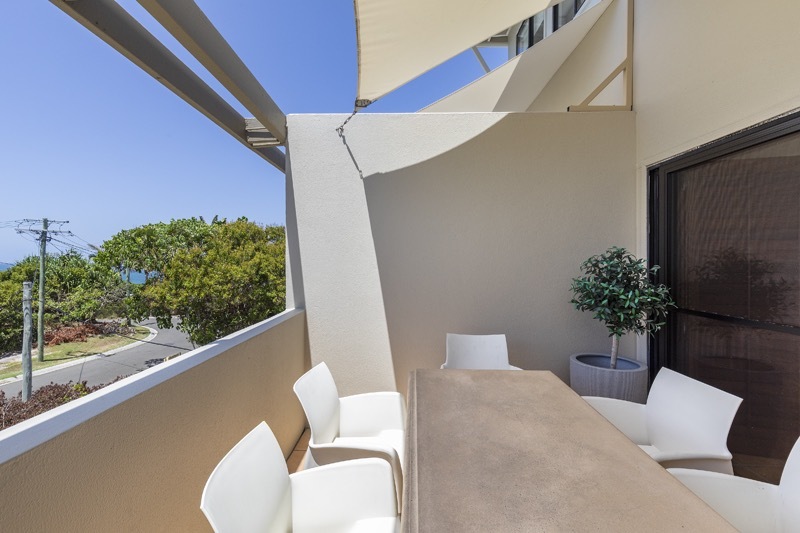 2/14 Park Crescent is contemporary, private and beautifully appointed. 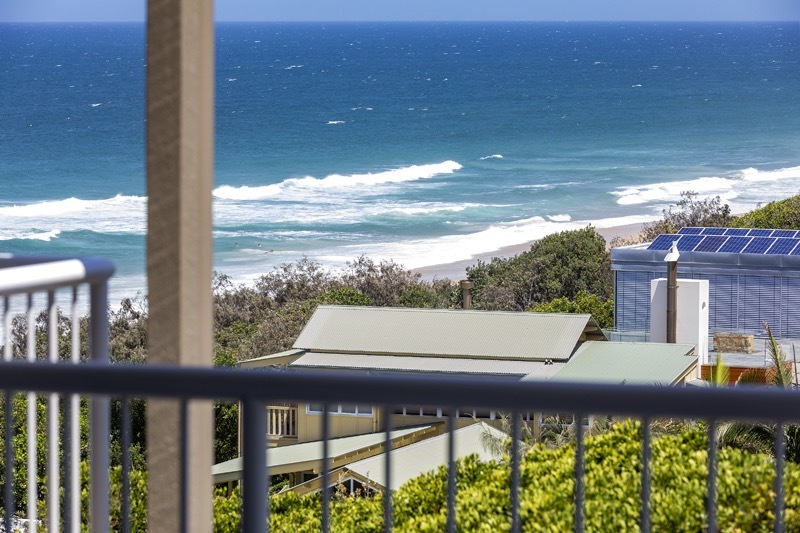 Situated just minutes from the main village of Sunshine Beach, there is direct beach access via the back of the property. 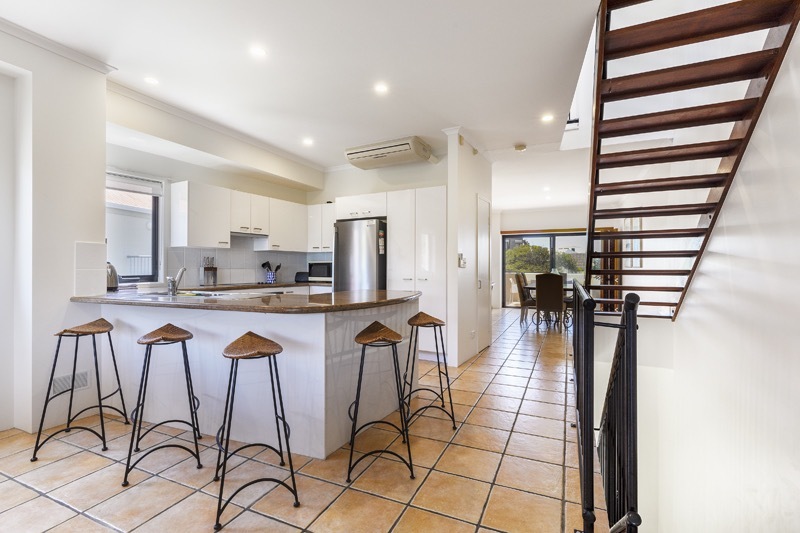 The house is spread over 3 levels with the light and breezy main living area on the first level. The generously sized bedrooms are all on the top level. 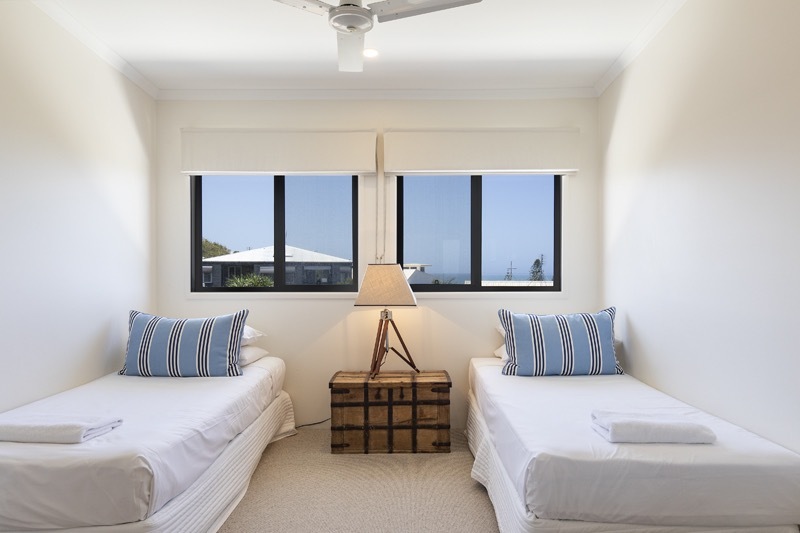 All rooms enjoy lovely ocean views. 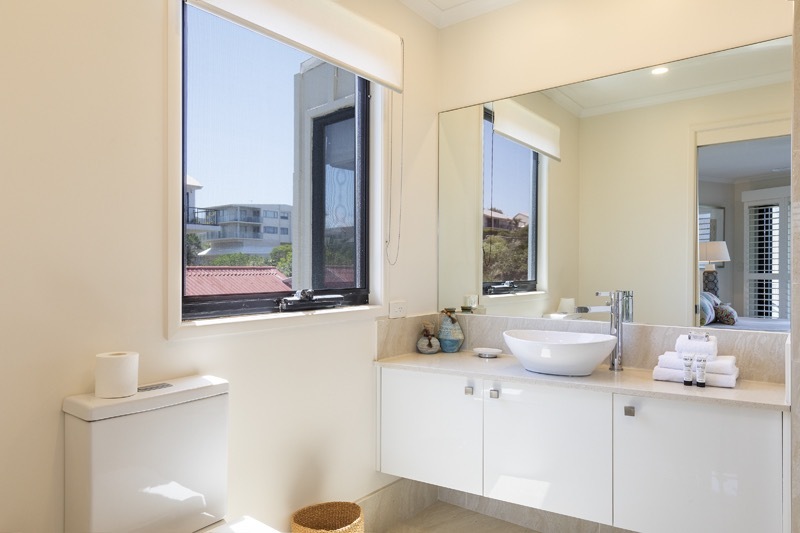 The master suite has a Queen bed and a spacious ensuite with shower – a private balcony provides space for quiet reflection. 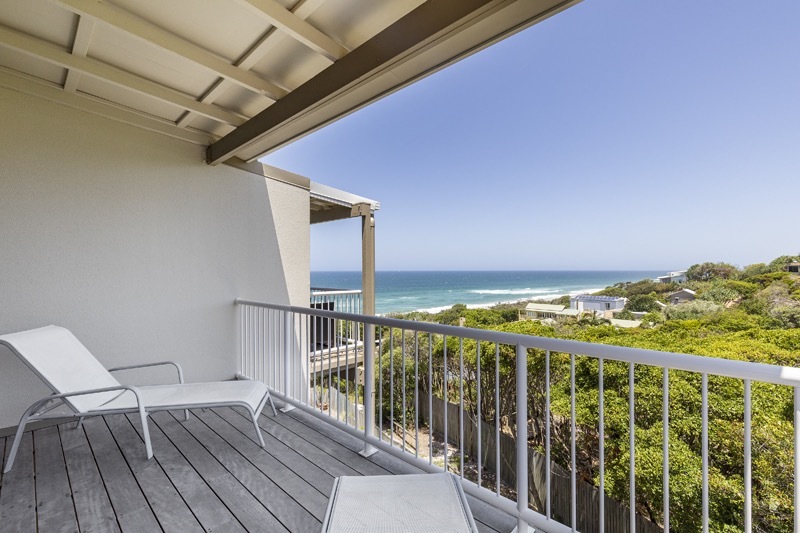 Enjoy the spectacular ocean views from the comfort of bed or from the daybeds on the balcony – perfect for enjoying your morning cuppa and watching the sunrise. The second bedroom has two single beds which can be pushed together to make a King on request. 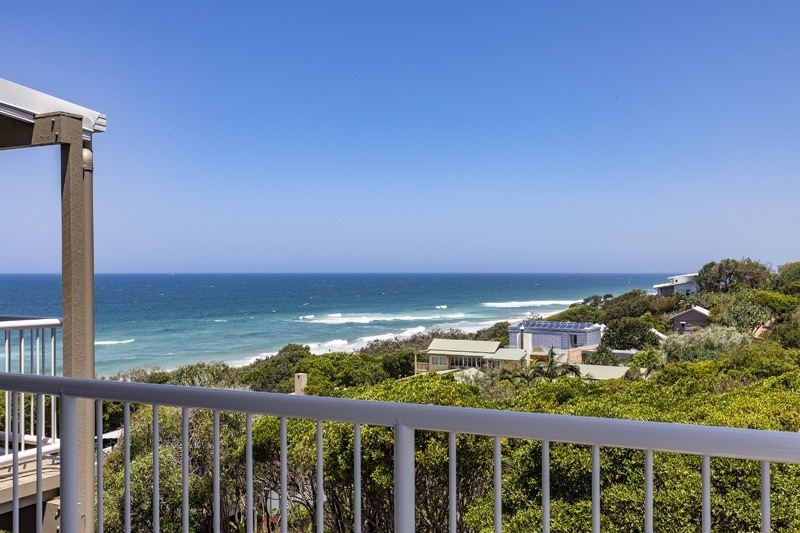 It also has lovely views looking North over Sunshine Beach and the ocean. 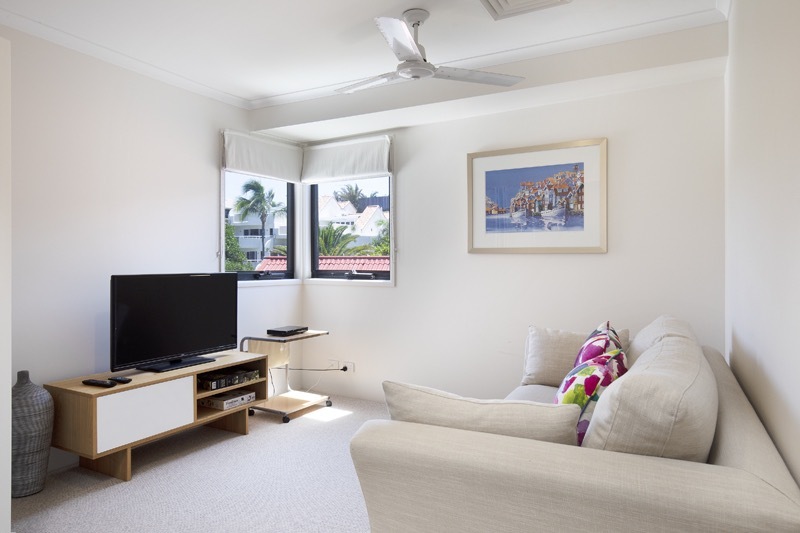 Also on this level, there is a media room with TV and board games which can function as a third bedroom if required. There is a comfortable double pull-out sofa-bed, ideal for kids. 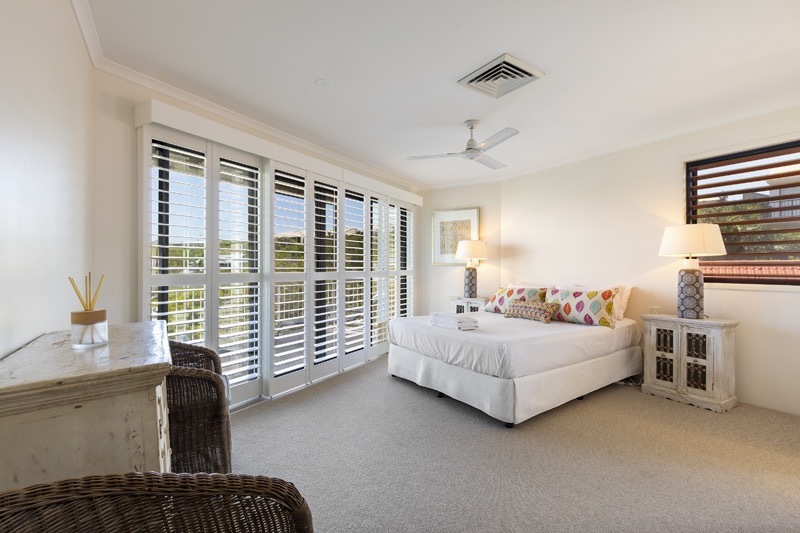 Folding shutter doors allow the room to be closed off. 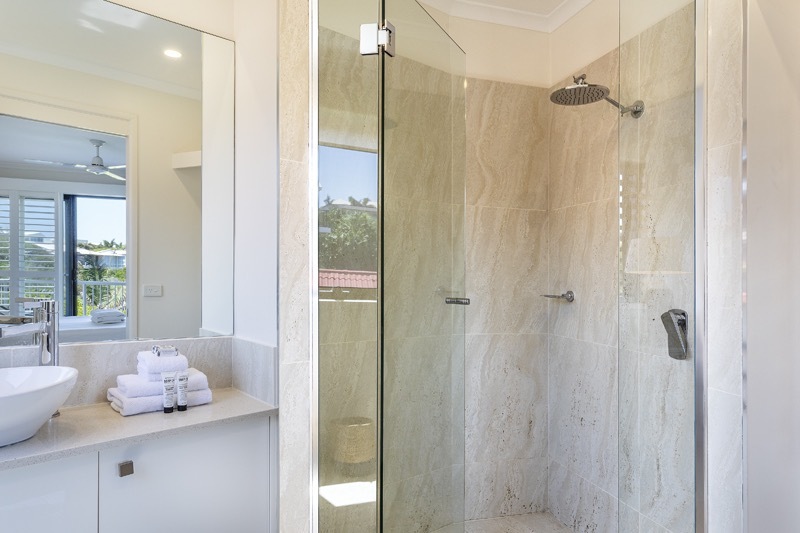 There is a main bathroom next to the second bedroom with a shower. 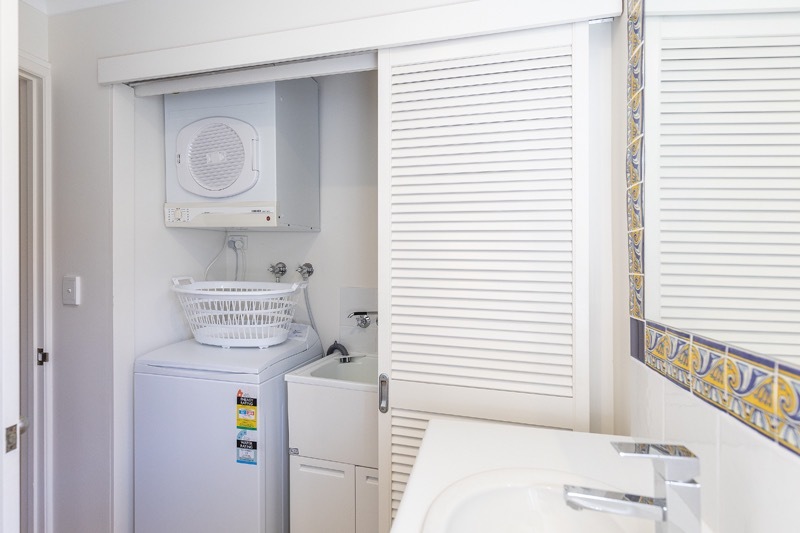 A third bathroom with toilet only and integrated laundry is situated on the lower level. 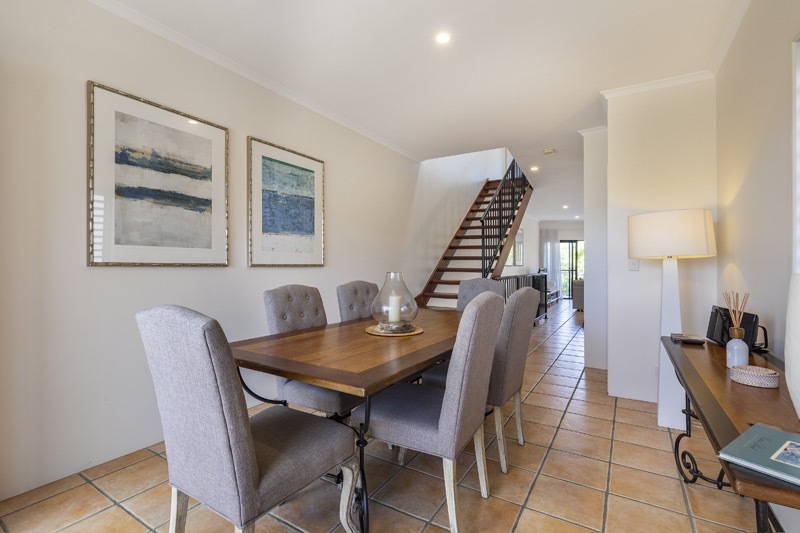 Back downstairs in the main living area, you’ll find the well-equipped modern kitchen and comfortable lounge area with TV (Foxtel & Netflix). The dining area seats 6. 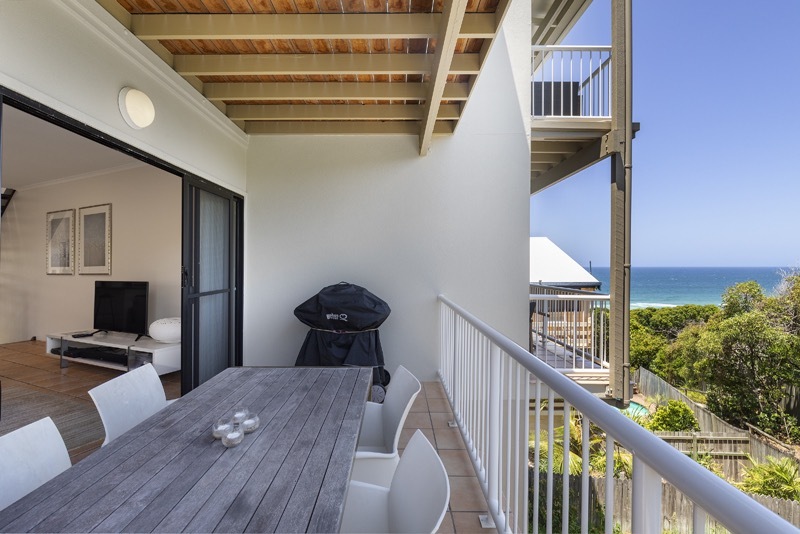 Both areas open out onto balconies at either side of the house, both with ocean views and outdoor tables and chairs. A BBQ is provided for guest use. 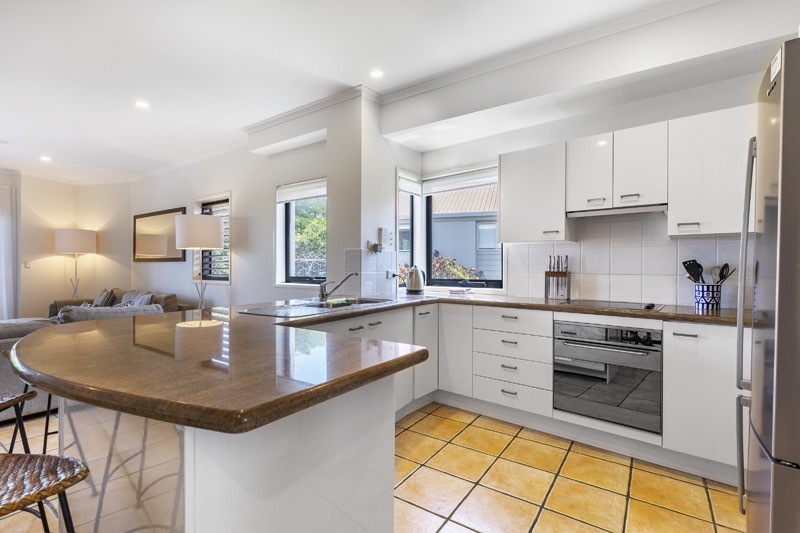 The property has ducted air-conditioning throughout in addition to ceiling fans. 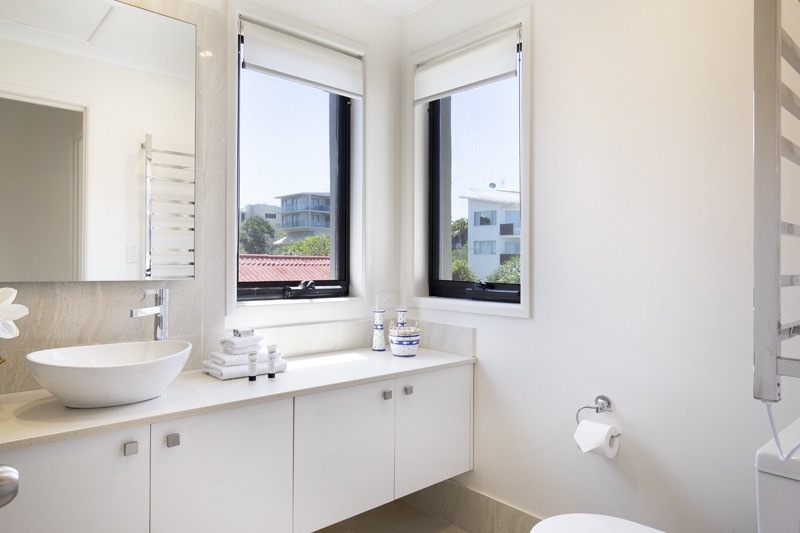 However good airflow can be achieved by opening up the windows and sliding doors at either side of the house. 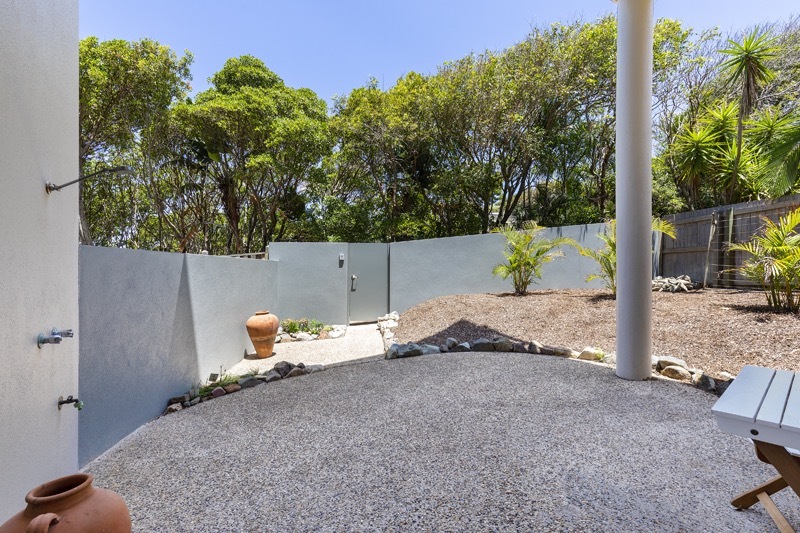 There is a private and secure sunny back-yard that is accessed via the large double garage. There is a hot/cold shower for washing the sand off after a trip to the beach below, and a table and chairs for enjoying the morning sun. Various beach toys and boogie boards are provided for guest use. 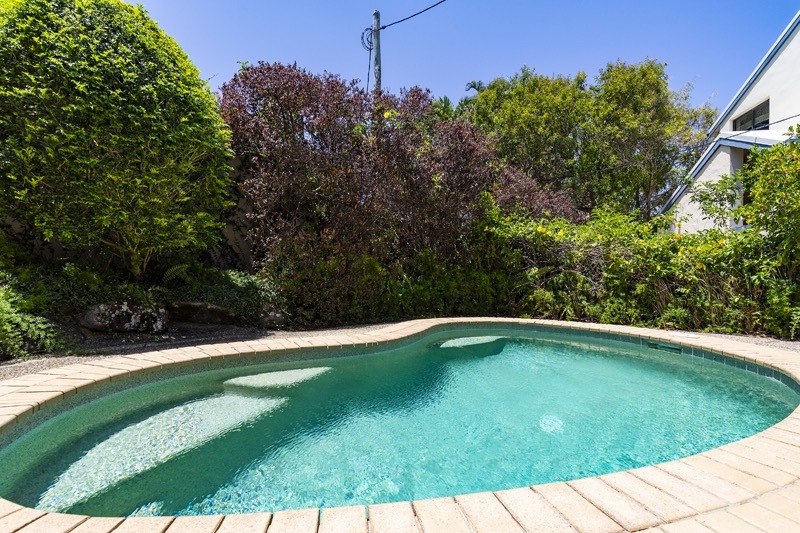 There is a shared pool at the front of the property. 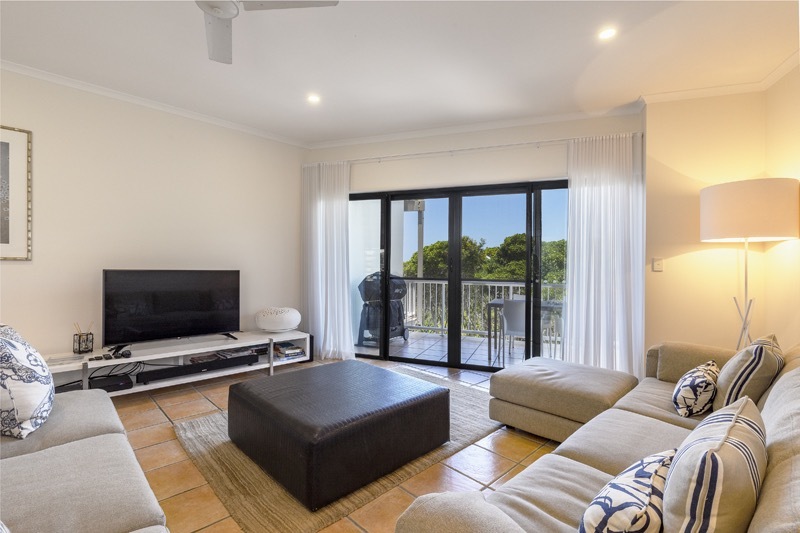 Contact us today on 1300 810 944 or submit an enquiry and let us arrange your perfect Sunshine Beach holiday accommodation at Martinique, 2/14 Park Crescent. 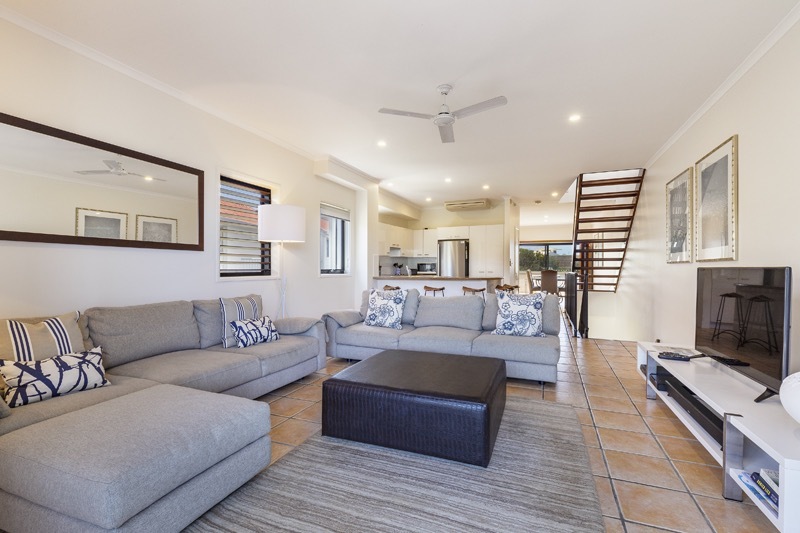 A non-refundable booking fee of $40 applies at this property. Very well organised and helpful. I liked the courtesy call to see if all was well at the property. Very clean/ bathrooms spotless! Very good position/ balconies. Track to beach/close to duke street.